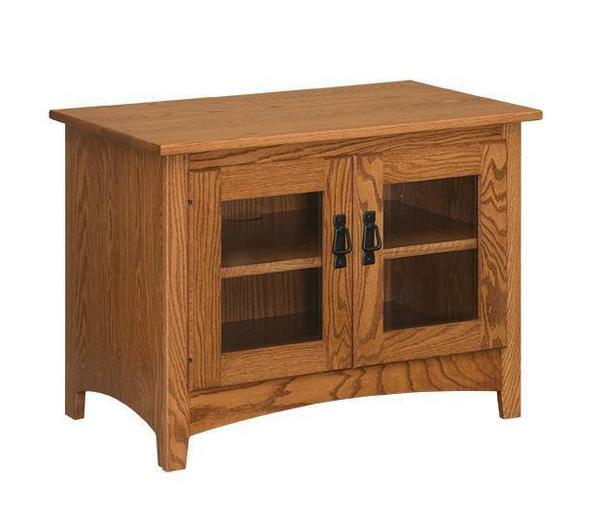 "Go big or go home" does not apply to our Amish Country Mission 36" TV Stand. This quaint, mission-style piece makes a statement with its petite frame and quality construction. Along with a solid top to rest your TV, this stand includes two doors with glass panels. Behind the doors sits an adjustable shelf. Available in oak, cherry, or brown maple, additional custom options for this piece include your choice of hardware and finish.